Chicana singer- songwriter, Sandra Lilia Velasquez (SLV) will perform music from her new socially conscious bilingual album PIECE OF MIND. Between songs she will discuss the topic of cultural identity as it relates to artistic expression, and specifically her songwriting process. She would like to hear from the audience about how their own identity informs their expression. No experience is required from participants. On Saturday, March 3 from 4-6pm, Makara Center for the Arts will host "Celebrating the Music of Alice Coltrane.” The listening session will feature a short presentation, selections from vinyl records, and a screening of the rare 30-minute documentary “Ashram.” Makara will also have a copy of the 2010 biography "Monument Eternal: The Music of Alice Coltrane" by Franya J. Berkman, available for free check-out to our patrons. Alice Coltrane (1937-2007) mastered multiple instruments including piano, harp, organ, and synthesizer. Her career has often been overshadowed by her husband, John Coltrane, one of the most influential musicians of the 20th century. But Alice deserves to be appreciated in her own regard. As a composer, improvisor, and bandleader, she released an unparalleled series of innovative albums from the late 60s through the early 80s—all while raising a family as a single mother and dedicated caretaker of her late husband’s legacy. During this period, her uniquely personal and visionary music fused jazz with Indian ragas, European classical orchestration, cosmic overtones, and an experimental approach. 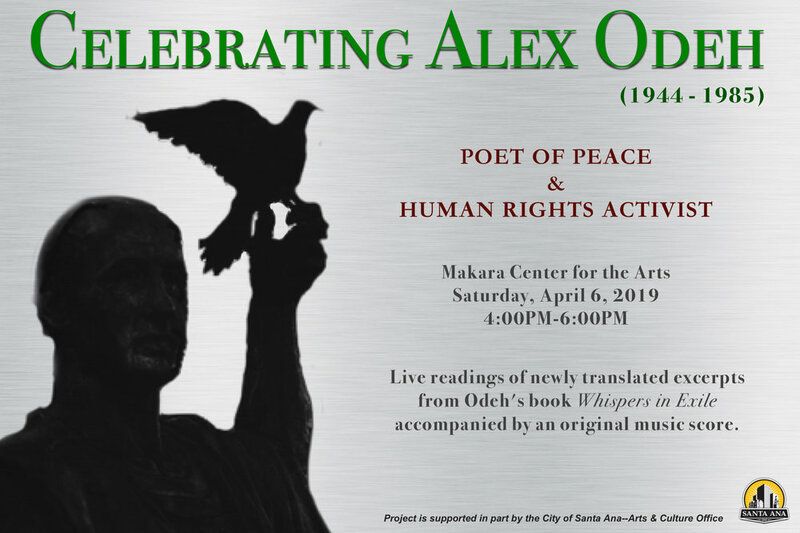 Makara Center for the Arts welcomes our neighbors to join us in an exploration and appreciation of this groundbreaking artist during Santa Ana’s citywide Boca de Oro festival.